Every summer Greece is bursting with cultural events and festivals which take place in all corners of the country. The Greek Summer Festivals promise unique and refined experiences that will evoke profound emotions, taking visitors on a journey through a centuries-old culture. 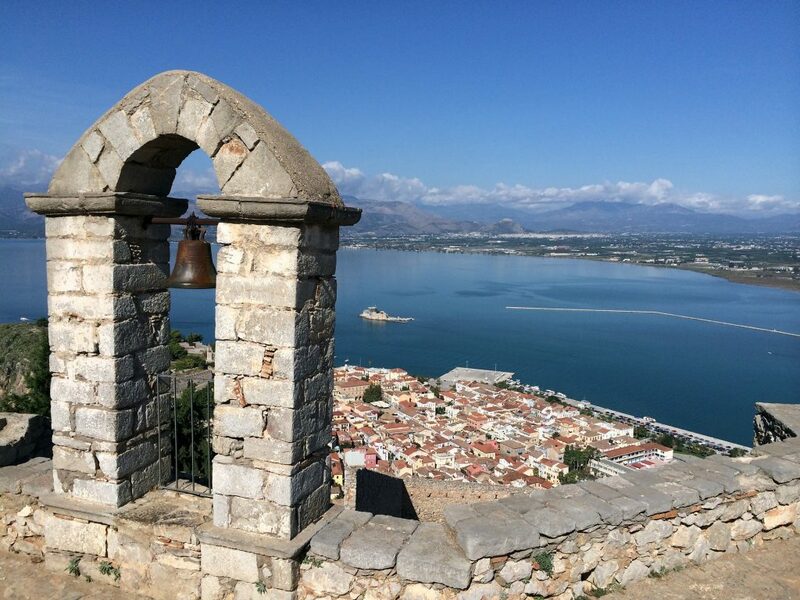 At the end of June and the beginning of July, the spotlight falls on the Nafplion Festival — a standout event which has been in existence for twenty-seven consecutive years. With the title of the best festival of its kind — the Nafplion Festival showcases a selection of unique musical performances which are staged at some of the city’s major venues. A brilliant blend of musical events are scheduled to take place at the Vouleftikon, which is the first Hellenic Parliament, Agios Yeorgios Square, the courtyard of St. George’s church, the Agios Spryridon church and the spectacular Palamidi Castle, perched on a 216m-high rock overlooking Nafplion, the Argolic Gulf and surrounding area. A series of parallel events take place during the Nafplion Festival allowing guests to discover the town through introductory walks along the historical Nafplion, to embark on a cultural route that leads to the archaeological site of Asini — a famous village cited in the Iliad by Homer and to admire a rich collection of artefacts housed in the National Gallery – Alexandros Soutsos Museum. As stated by Janis Vakarelis, Artistic Director of the Nafplion Festival— the goal of this cultural event is to “stir emotions and soften souls”. 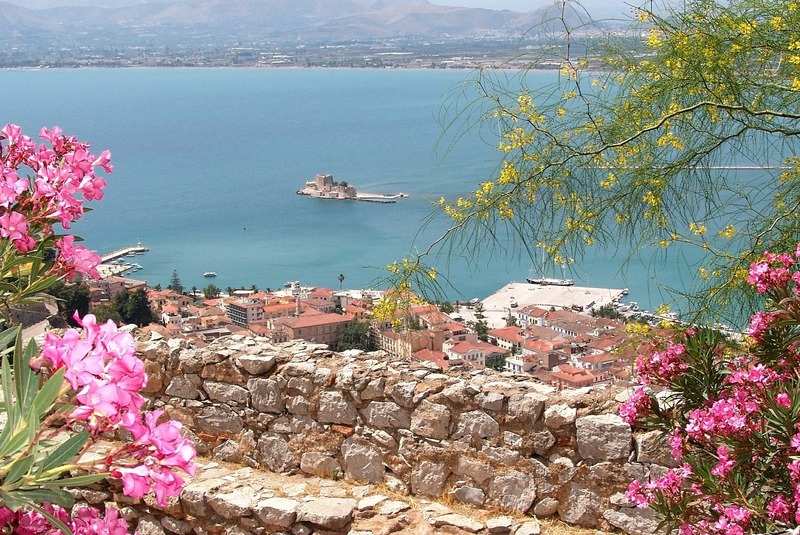 Nafplion has a rich history of many conquests, passing through the hands of the Franks, the Venetians and the Turks — it became the first capital of the new Greece in 1823. 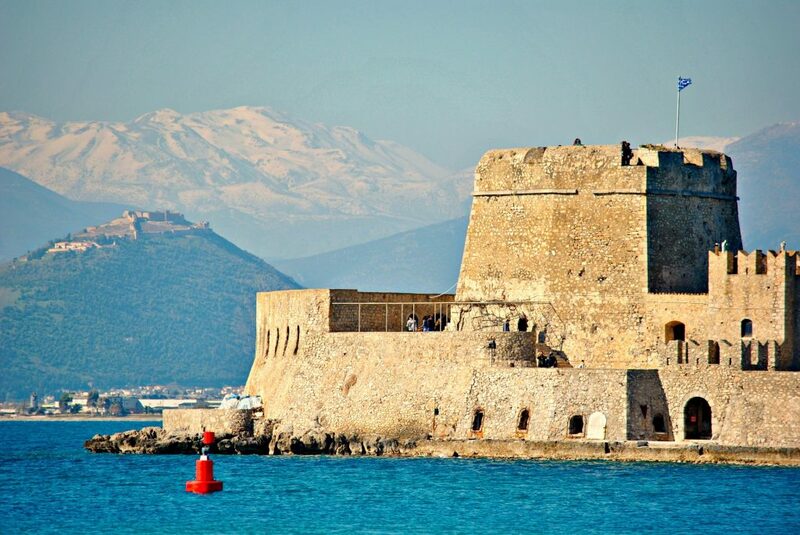 According to mythology the city was named after Nafplios, the son of Poseidon and Amimoni, however the name changed several times — under the Venetian ruling it was called Napoli di Romania, the Ottomans named the city Mora Yenişehir, until finally the town was called Naflpion or Nafplio in modern Greek. The history of the city traces to around the 8th century — based on the findings of the polygonal walls of Akronafplia and the tombs on the north side of Palamidi. 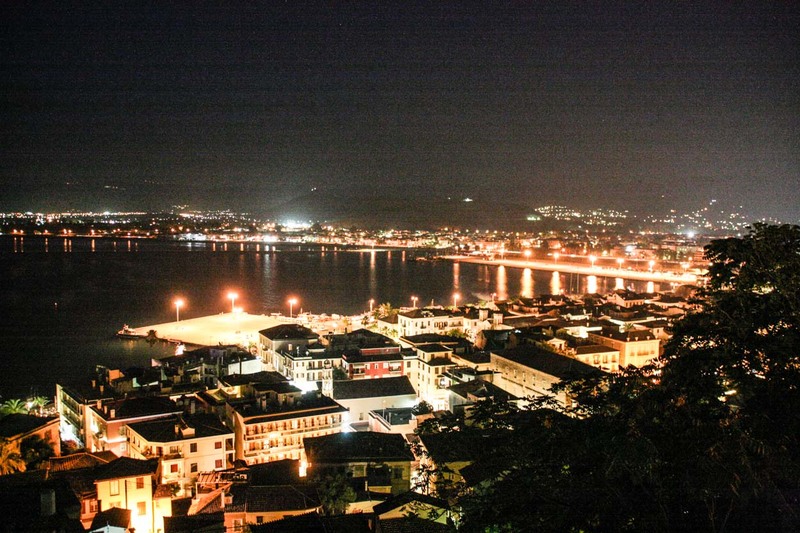 Throughout the 19th century Nafplion flourished and developed into an urban society. Numerous prestigious hotels were built to host guests of royal families and high society. Nowadays, the city is a popular day and weekend destination for the Athenians, especially during the winter months. The architectural design of Nafplion is defined by the city’s numerous conquests throughout the centuries. 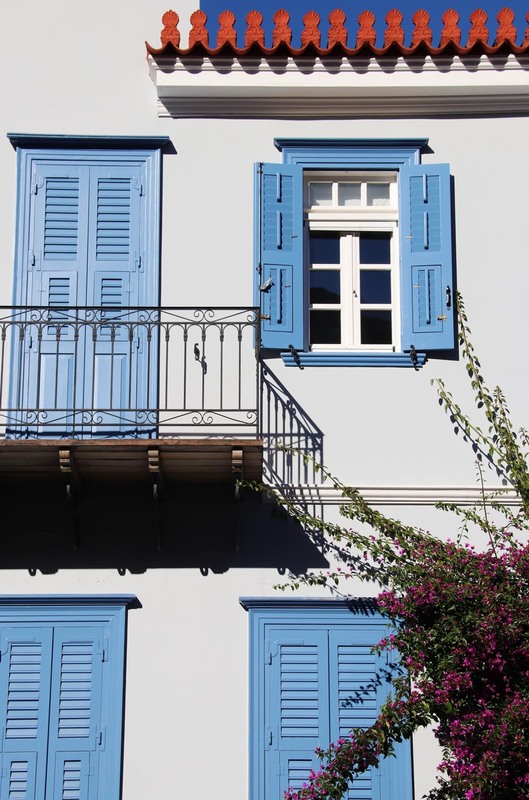 Walking along the picturesque streets of the Old Town you will come across traditional two-storey colourful houses with pretty flowered balconies which have preserved the architectural charm characterised by Venetian ruling. One of the greatest architectural jewels of this historical city is the medieval castle of Palamidi which dominates the steep rock — that can be reached by the famous route of climbing 999 steps. The castle features eight autonomous bastions, the biggest and strongest was named Agios Andreas, which is home to a church that carries the same name and functions until this day. 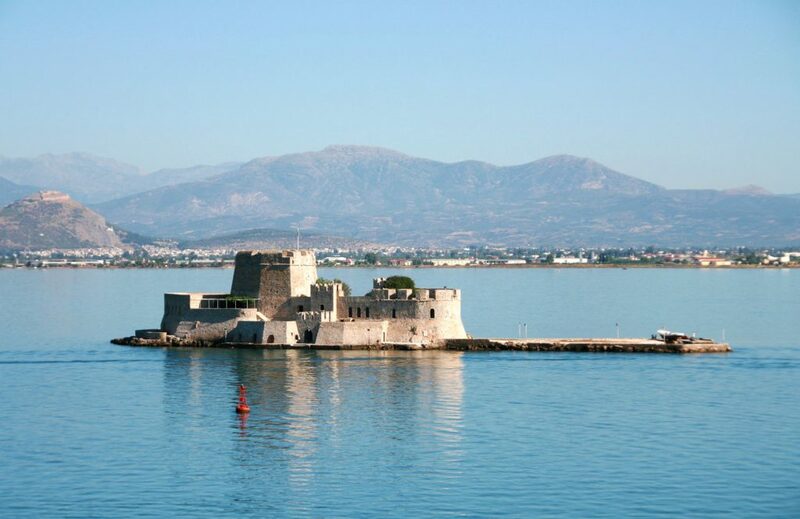 Another important landmark of Nafplion is the Bourtzi Castle — the Venetian fortress which was built on the islet of St. Theodoroi in 1473 by an Italian engineer Gabelo. This imposing fortress served as the first prison for the hero of the Greek Revolution against the Turks, Kolokotronis and later as a residence to the executioners of Palamidi. 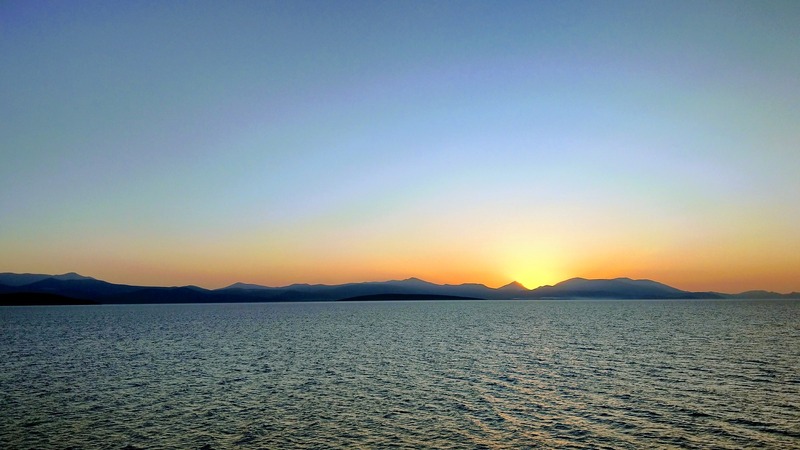 It can be reached by a small boat from the harbor of Nafplion. The oldest example of Ottoman architecture is evident in the Old Tzami (Mosque) which crowns the centre of the city of Nafplion. Today it is known as Trianon and is the oldest surviving monument from the Ottoman ruling. 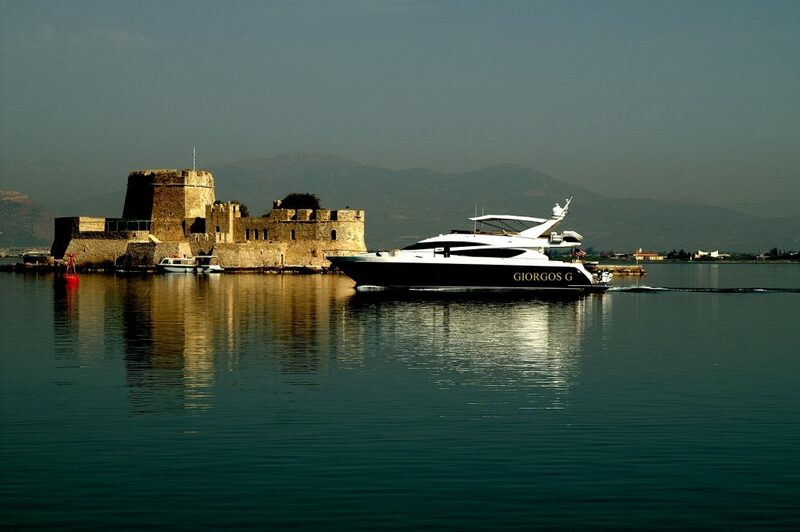 Tucked in a cove of the Argolic Gulf, Nafplion is blessed with secluded bays and exquisite beaches with emerald waters. Those staying in the old town can enjoy a refreshing swim at the Arvanitia Beach, which can be reached on foot and is much loved by the locals. Another locals’ favorite is the city’s longest beach Karathona, stretching for approximately three kilometres, right behind the Rock of Palamidi. Shaded by palm and eucalyptus trees, it is a perfect choice for families with kids. Plaka Beach is an all day destination which becomes a lively coastal area once the sun sets. The area is lined with several bars and cafes. If you are looking to spend the day in a lively atmosphere then the Agios Nikolas – Kondili Beach is the perfect choice — the most famous beach in the area has a plethora of beach bars with stunning sea views. Psili Ammos is a favourite among families, featuring a selection of beach bars, restaurants, cafes and water sports facilities. 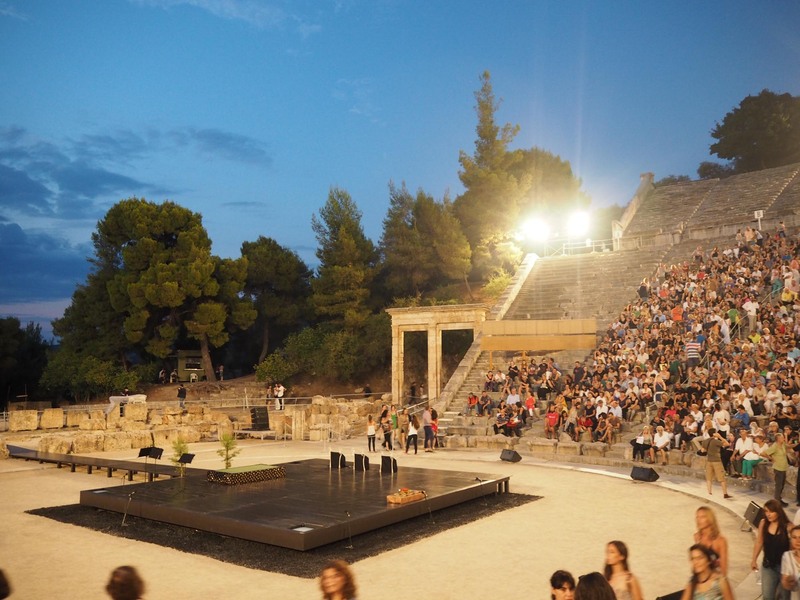 The great theatre of Epidaurus is one of the most important attractions especially during the Athens and Epidaurus Festival. The impressive theatre famous for its extraordinary acoustics was built around 330-320 BC and can sit 14,000 people. This remarkably preserved theatre is used for ancient drama performances until this day. Here you will also discover the Sanctuary of Asklepios, dedicated to the god of medicine, which was built in 6th century BC and is one of the greatest masterpieces of Greek architecture. Surrounded by a pristine natural landscape the archaeological site is located approximately a 30 minute drive from Nafplion. 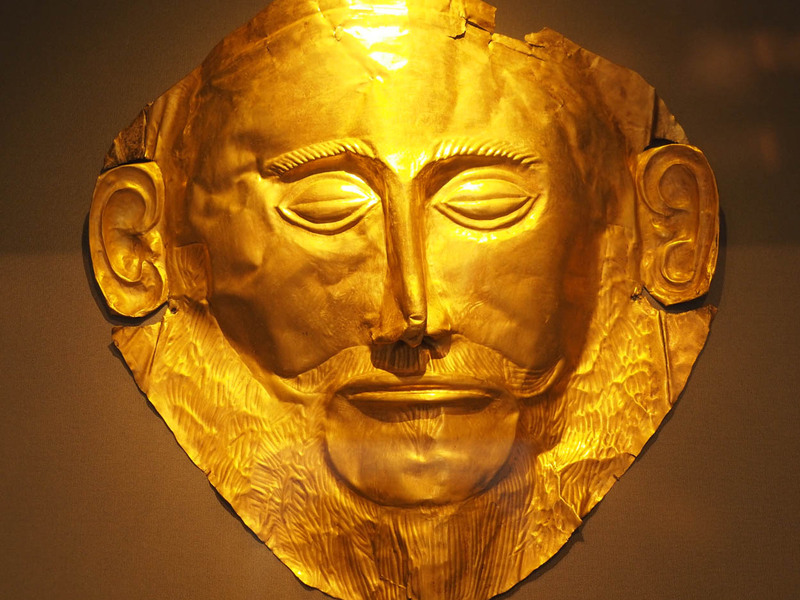 Another important place of interest is Mycenae which was once the kingdom of Agamemnon, the leader of the Greeks in the Trojan War. Home to the main character in the Iliad, Homer’s epic poem about the war — Mycenae has inspired many writers and poets over the centuries. Here you will witness the imposing Lion Gate which will take you directly to the citadel (Acropolis). This UNESCO World Heritage Site has played a vital role in the development of classical Greek culture. The Nafplion Festival runs from 29th June to 8th July 2018. The rich cultural program will gift you with an experience of a lifetime. Have you been to Nafplion?